In Need of Financial Aid? The state of Alaska has established an agency called the Alaska Commission on Postsecondary Education (ACPE) to administer its student financial aid programs and assist Alaska students in plotting a financial route through college. ACPE also offers advice on training for careers, to encourage all state residents to acquire some type of post-secondary education. Alaska has simplified its state-supported financial aid and now offers one type of scholarship and one type of grant, both of which are funded by a new trust called the Alaska Higher Education Investment Fund. One of ACPE’s duties is monitoring schools in Alaska, to make sure their financial and management practices are acceptable and to verify their capability for fulfilling their educational promises, and you can find a list of ACPE-approved post-secondary schools here. There are two types of Alaska Performance Scholarship (APS), the Collegiate Award and the Career and Technical Education Award. The ACPE website has laid out a readily understandable series of pages that make it very simple for you to navigate the process of securing an APS scholarship. You may receive APS funding for a total of eight semesters. Four years each of math, science, English, and social studies. In exchange for one year of social studies, you may complete a year of fine arts, cultural heritage, or foreign language (including the Alaska Native language and American Sign Language). That is called the Math and Science option. For the Social Studies and Language track, you will take four years each of English and social studies, plus three years each of math and science, plus two years of a single foreign language (as defined above). Level 1 requires a GPA of 3.5 plus an ACT of 25 or SAT of 1680, and the maximum annual amount is $4,755. Level 2 steps down to a 3.0 GPA and 23 on the ACT/1560 SAT, and brings as much as $3,566 a year. Level 3 is awarded for average performance (GPA of 2.5, ACT 21/SAT 1450), and it is worth $2,378 at most. The APS Career and Technical Education Award is for those who intend to seek job training, and instead of the testing required for college students applicants will need to submit a qualifying WorkKeys score. WorkKeys is an alternate testing system devised by the same company that produces the ACT test, and its purpose is to determine your level of preparation for a career. The current WorkKeys requirement is a combined score of 13, with no individual score under 4. Be sure to check with ACPE for any updates. The AlaskAdvantage Education Grant (AEG) is handed out based on financial need, and while its amount usually varies between $500 and $2,000, there is a special category of award providing up to $3,000. The priority AEGs are reserved for students scoring in the top quartile on the SAT or ACT, and for students in designated workforce shortage areas. Current workforce shortage areas are health science, social service, education, and extracting and processing Alaska’s natural resources. 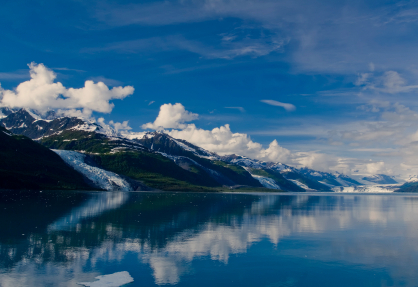 Live in Alaska and be either a U. S. citizen or a permanent resident. Have a high school diploma or GED equivalent. Have gained admittance into a program granting a degree or certificate. Attend school at least half-time and make acceptable progress in school. Have at least $500 you cannot pay in educational costs. Not already have a four-year degree. Meet eligibility standards for receiving student financial aid through the federal Title IV program. You should be aware of the importance of your enrollment status. The AEG program begins allotting grant money to individual students at the beginning of the academic year, when schools send in their certifications of student enrollment. There are always applications that are denied because funding has run out, so you must make a point of enrolling as early as possible in a qualifying course of study. There are two recommended primary sources for locating additional scholarships and grants. Your school’s financial aid office will supply useful information on not only institutional aid available from the school itself but on scholarships and grants underwritten by outside groups. As an example, the University of Alaska Southeast has posted a page advertising its scholarship assistance, which reaches approximately one-third of applicants and can be as much as $5,000. The federal government is a reliable provider of student financial aid like scholarships and grants, and should always be consulted in any search for student assistance.